The cherry blossoms (sakura) usually bloom in the last week of March and the first two weeks of April in Kyoto (roughly between 20 March and 14 April). In an average year, the blooms peak on 1 April in Kyoto. Once they bloom, they are notoriously fickle: sometimes almost all the trees will come into full bloom (mankai) at the same time and stay in full bloom for a week or even longer. Other times, cherries in different parts of the city will peak at different times and some trees will start dropping petals while others still haven’t peaked. Worse yet, heavy rains can strike just after most trees have reached peak, bringing the petals down several days earlier than they might have lasted. Timing your trip to coincide with the cherry blossoms is a very tricky affair. If you leave yourself only a couple of days in Kyoto, you might find that you’ve arrived just after the cherries have bloomed, or you might have the frustrating experience of seeing the trees approaching peak just as you have to leave the city. In order to be sure of catching the cherries at their peak, you’d have to stay 10 days or so in the city, and this would cost a fortune at high-season rates. 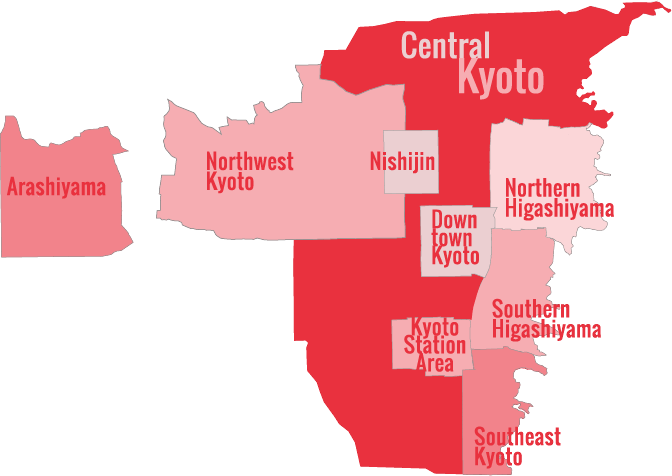 Kyoto becomes incredibly popular during cherry blossom season for both domestic and foreign tourists. As such, it’s wise to book well in advance – by at least a couple of months – to get the exact Kyoto hotel you want in the price bracket you prefer. Your choice will be very limited if you make a last-minute decision to visit Kyoto to see the blossoms. 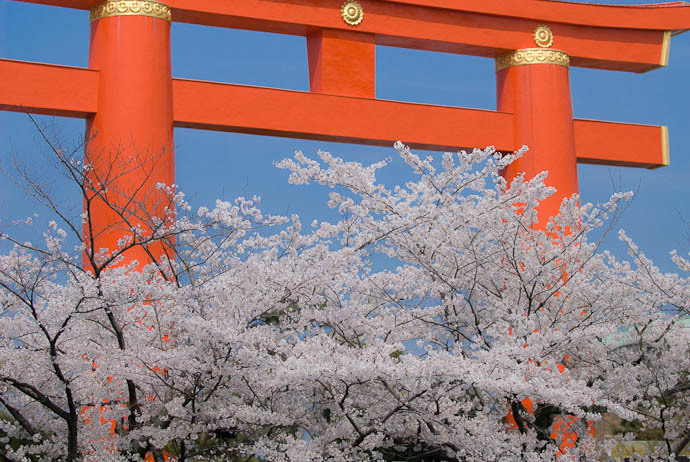 You can check current Kyoto hotel availability and prices for mid-March to mid-April, when the cherry blossoms bloom, on Agoda.com and Booking.com. You can also check accommodation in nearby Osaka, which is only 10 minutes by bullet train from Kyoto, if you need a bigger choice of places to stay. Thus, to be honest, it’s best to consider the cherries an added bonus: If you catch them at their peak, great, but if you miss them, no big deal. Keep in mind that May is arguably a better month to visit Kyoto: many plants are in bloom, the trees are green and the weather is reliably warmer (it can still be cold in Kyoto in late March and April). Likewise, it’s much easier to catch the fall foliage in Kyoto: If you visit between mid-October and the end of November, you will almost certainly see some lovely fall colors. Read more about Autumn colors in Kyoto in our comprehensive guide.